Most web surfers are aware of the fact that every single time a keyword search is run on the net using search engines such as Google, Yahoo, Bing etc. there would be millions of websites that would be competing to be amongst the top 20 results to be pulled up. For websites it is critical that they do everything possible to enter the first 20 results whenever a search is conducted using any search engine. The norm generally being that 10 results are displayed per page and it is the first two pages that are of real significance for any company or businesses visibility. A little known fact is every time internet users visit the results page they generally have an inclination to check out the sites listed mainly in the first two pages. Search engines play a paramount role in transporting users to websites therefore web development specialists and site owners have understood that top billing is what really counts for volume of traffic and visibility. How does one go about achieving this? It is possible by employing professional SEO services that optimize web presence and visibility and this leads to greater conversions which are a boon for any business. How does an SEO firm bring about a transformation and what strategy does it apply to achieve the desired results? All SEO services follow a two pronged approach which are implemented concurrently. These two are On-Page Services and the other is Off-Page services which form the core of SEO services. When we deal with SEO On-Page services it basically means designing your website keeping in mind the latest criteria of search engine optimization. For example, you can alter the title of your page to target specific keywords and phrases that have a shameful amount of competing sites. You can strategically place keywords within the text of your website that cause search engines web crawlers to assume your spot as relevant for people that search for the keyword you are targeting. The key words are embedded in the ALT and Meta tags used coding of the site. Keywords and Key phrases are what search engines crawlers search for in a website. Off-Page SEO is the process of getting links to your site from other sites that the search engines believe to be relevant for your keywords. If any site is considered to be an authority on a distinct keyword by Google links to your region, it will give your site credibility and cause your ranking to improve. The more links you have pointing to your site from sites that search engines trust, the higher your station will appear in the search rankings. One trick to achieve this effectively is by commenting on other blogs. It can be defined as a continuous process. Link construction and exchange are critical to Off-Page SEO. The competition on the internet for top status in search engine rankings is unbelievably tight as a consequence of which professional SEO services are in terrific demand and highly sought after. SEO services can help to make a business very lucrative if utilized appropriately. 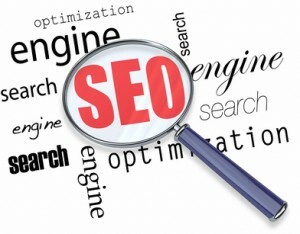 Many SEO companies stake claims of being able to achieve top rankings for a client’s website. The question is can they deliver what they promise? Caution needs to be taken when deciding about hiring the services of an SEO provider. The factors here are the business track record, experience, client’s endorsements and infrastructure of the service provider. The selection of a service can make or break the business of any company. So get your facts and figures in place when selecting your SEO Company.